I’ve been really excited to share this with you. 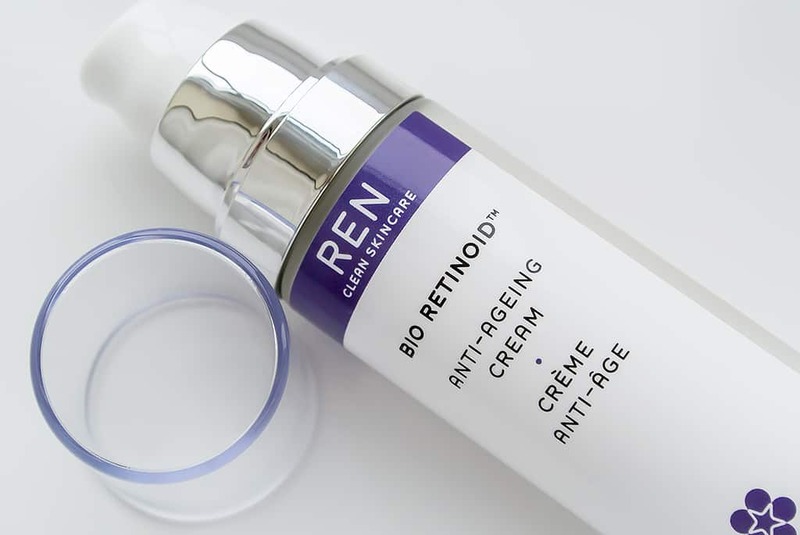 Launching next month is the incredible new anti-ageing treatment from REN, the REN Bio Retinoid Anti-Ageing Cream. 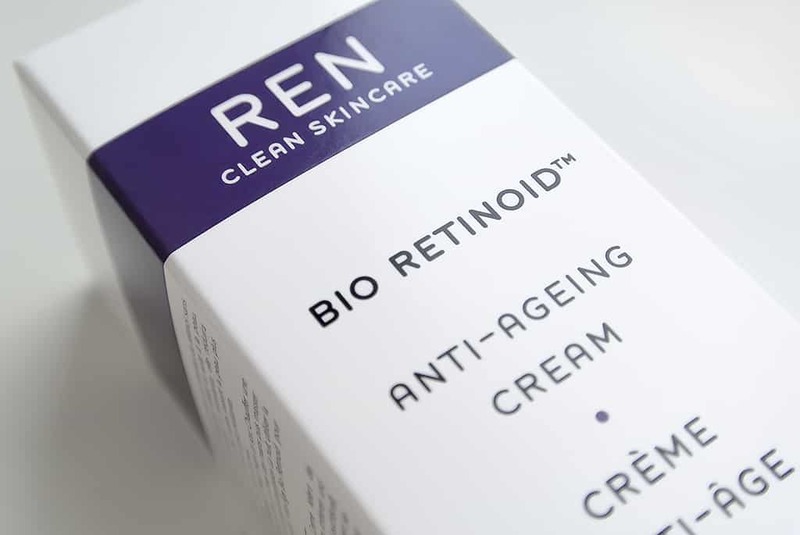 You’d be right in thinking the name sounds familiar as last January, REN launched their fabulous Bio Retinoid Anti-Ageing Concentrate (here’s the review) and you can actually use the two products together to create the ultimate super-powered regime. I’ve been having so much fun using this over the last few weeks and I think you’re going to love it. The bottle is beautifully weighted, thick, frosted glass. The lid comes away with a solidly reassuring pop and the whole thing just feels like luxury. One pump is all you need and the cream is thick and rich to spread. I was initially concerned, due to the texture, that it was going to be heavy and clogging but I was amazed how light it actually was, sinking into my skin quickly and effortlessly, leaving no residue or shine. It feels very nourishing and even late in the day, my skin feels comfortable. Also the combined scent of the ingredients really reminds me of freshly cut grass, it’s gorgeous, but not over-bearing. So let’s get down to business, what is this really going to deliver? Well it’s a day and night cream and the first thing I’ve fallen in love with is how well it hydrates. It really just tears its way through dryness and seems to almost immediately plump and lift everything. Retinoid Analogue, the first clean alternative to retinol, increases skin cell turnover, leaving newer fresher cells on the surface whilst inhibiting collagen breakdown, thus overall reducing fine lines and wrinkles. The product also contains red algae, of which the anti-oxidant Astaxanthin is normally extracted, however REN have had a scientific breakthrough in creating the molecule Galactan Telomere Protector (GTP) that claims to effectively repair skin cells and protect DNA by preventing the deterioration of telomeres. Telomeres are located at the end of each arm of a chromosome and their function is to keep the chromosome intact, preventing them from breaking down or fusing. The best way to describe it is, when you’re sewing something, at both the beginning and end you sew in a securing stitch to prevent everything from unravelling and pulling apart, well that’s basically the function of a telomere. 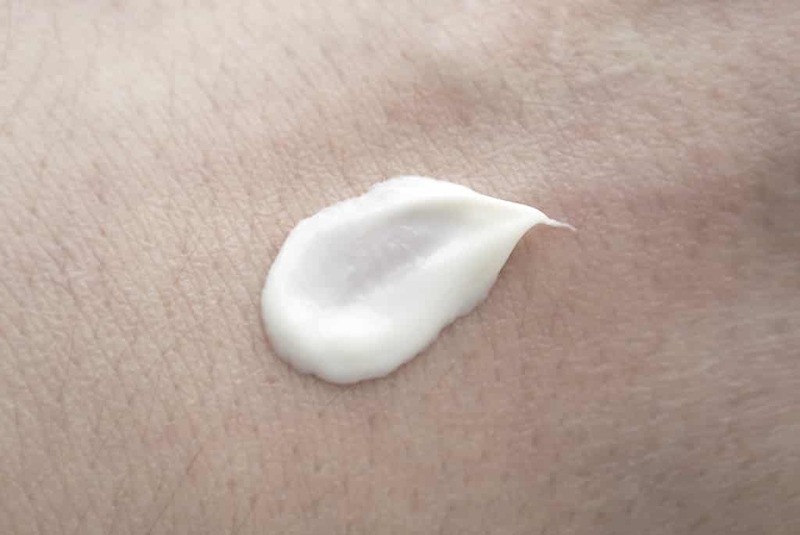 So, GTP prevents this unstitching from occurring, ensuring cells stay happier and protected for longer which in turn regulates healthy skin function. The featured anti-oxidant is olive leaf which has proven to be highly effective in many clinical trials. Finally my old favourite, hyaluronic acid, a humectant yeast extract that forcibly bonds moisture to skin cells and lifts, plumps and firms the surface. So with fantastic hydration, increased skin cell turnover and powerful anti-oxidant effects, what’s not to love? 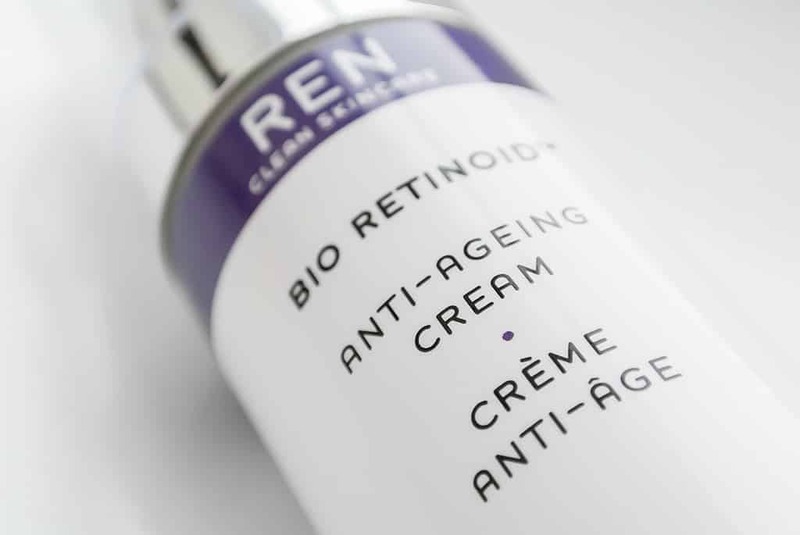 With all that science, most of which is highly documented in academic journal studies (from which I did my research), you’re getting a product that boasts outstanding efficacy with true luxury; exactly what you’d expect from REN. It launches on the 11th March at both M&S Beauty and on REN’s own website, then on sale in Space.NK stores and online on the 12th where you can get free delivery using the code SNKHARR at checkout (you can thank me later). This article first appeared on MANFACE written by Thom Watson. It was published on Tuesday 26th February 2013 and was last updated on Monday 3rd April 2017 at 3:50pm. It's categorised under Anti-Ageing, Dry / Dehydrated Skin, Moisturise, REN where you'll find more related content. Ren kindly send me a sample which I received today and after reading your positive review I cannot wait to start using it. This sounds exactly mind kind of product natural with lots of anti ageing scientific technology. This sounds fantastic! I need it. I really need to get some REN in my routine. I’ve had many REN facials but I’ve never actually owned any of their products. This sounds like a great one to start with though. I do love me a great anti-oxidant breakthrough and I have been researching the algae topic a bit more. Turns out a lot of products that my skin likes, contain some form of algae. The Asians were right long before we even considered it.